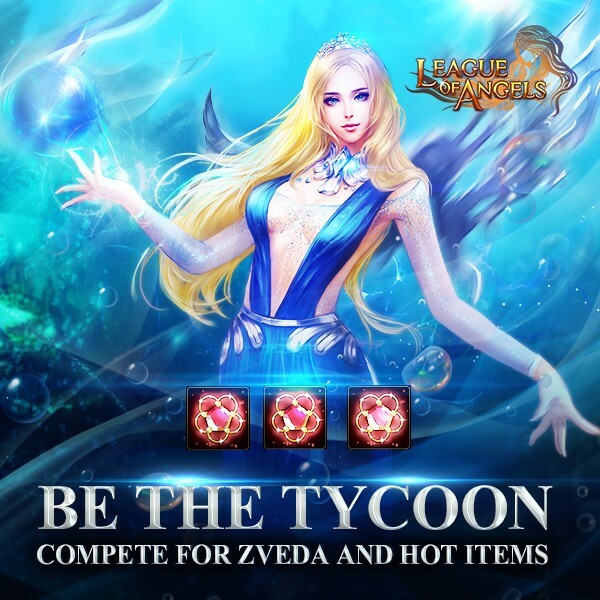 Players can claim EXTRA REWARDS after meeting certain requirements; rewards including Zveda, Windmill, Fountain,5-star Khaos Hero Card.Check "Once Tycoon" out in Hot Events! And there will be Time-limited Resources on sale during the event! Don't forget to check them out in Hot Events! Please note that this works only when your points refresh after 12:00 AM on the first day of tycoon! Description: Have fun in Tycoon! Get 2000k Tycoon points to collect your favorite item! Note: you can only choose one of the rewards. More exciting events are coming up through Jan 26 to Jan 29 (server time), check them out in the in-game Hot Events menu now!